This month delegates to the United Nations ratified the so-called â€œGlobal Goals For Sustainable Development.â€� This will involve a radical, far-reaching social and economic transformation of everyday life that has been in the works for decades. In true Hegelian dialectic style, the program is taking place as various black swans linger on the economic horizon, while some of the very interests involved in the â€œGlobal Goalsâ€� are likewise putting the finishing touches on the Trans-Pacific trade agreement, designed to (not coincidentally) crush the nation state. No â€œworld citizensâ€� voted for the UNâ€™s â€œGlobal Goals,â€� yet everyone is compelled to participate. Below is the campaignâ€™s slickly produced promotional video. 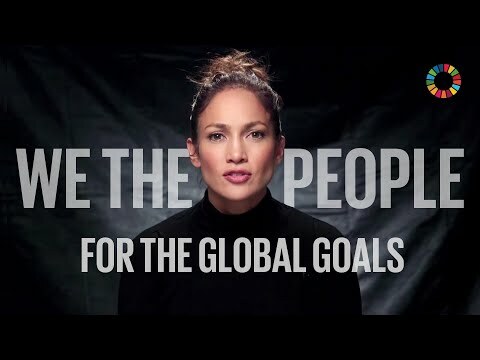 Truthstream Media has developed a clever interpretation of the UNâ€™s â€œGlobal Goals.â€� Unfortunately, these are by no means exaggerations but rather illustrate the hypocrisy of this campaign, which in reality involves an accelerated privatization of the commons and even our own bodies combined with elaborate psychological warfare to disguise such endeavors as social activism. Whatâ€™s that you say? Youâ€™re not on board? See you in the gulag, comrade.